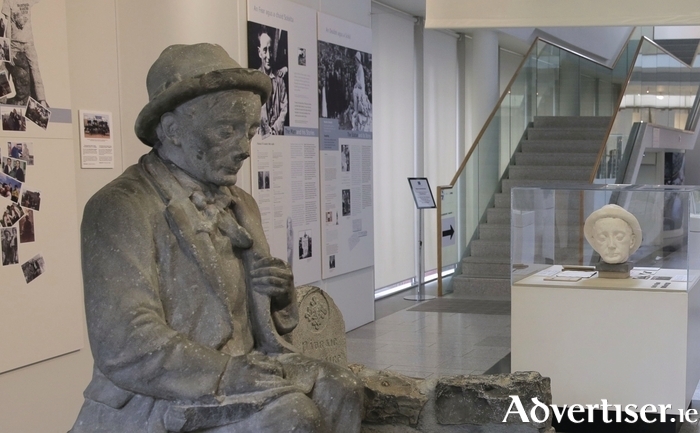 The iconic statue of writer Pádraic Ó Conaire will finally be returned to the Galway City Museum today, in advance of a bronze replica being installed in Eyre Square later this year - the statue's original home. The absence of the statue from both Eyre Square and the Galway City Museum, and indeed the decision to locate the statue in the museum, has been a running controversy for some years. However, after its decapitation in 1999 - described by Judge John Garavan at the time, as equal in gravity to "the Mona Lisa being taken from the Louvre in Paris" - it was later decided that Sean-Phádraic, as the statue is also known, would take up permanent residence in the museum so as not to expose it to either the elements or to further acts of vandalism. The statue has been absent from the museum following its removal last year for the purpose of replication. A cast has been created from the original and an accurate bronze replica produced. Works are in the advanced stages for the installation of Pádraic Nua in Eyre Square later this year. Following Ó Conaire's death in 1928, sculptor Albert Power was commissioned by the Gaelic League to sculpt a statue of the Irish language writer. The statue was unveiled in Eyre Square in 1935 by Éamon de Valera. Ó Conaire is depicted as he appeared in life; unkempt in a creased suit, shirt with half-tied bowtie, and a hat worn the wrong way around. The statue became one of Galway's most popular and photographed icons during its time in Eyre Square. Page generated in 0.1698 seconds.